Thanksgiving is just around the corner. Speaking of Thanksgiving, have you ever realized that large-scale data warehouses are a lot like your auntie’s famous Thanksgiving casserole? Never? Well, let us tell you a tale then! It’s a familiar scenario. The family is gathered around a table covered with an impressive number of unorganized trays and plates full of food, with the turkey on a golden platter. As soon as you are done saying your prayers of thanks, you look for your favorite dish, still served in that worn baking tray as it has been for what seems like the last 300 years – your auntie’s Thanksgiving casserole. When you finally get your hands on that juicy looking dish, you shove in the serving spoon in pure ecstasy to scoop out that little piece of heaven – only to realize that you have served yourself mostly potatoes and green beans, and almost no bacon. Shoot, the good stuff’s barely there. As you can see, the image of that perfect wholesome dish that you keep in your mind isn’t exactly accurate. There is a ton of ingredients that make up that little piece of heaven, and you don’t always get the same share. And well, your Data Warehouse is just like that. That’s what it is, a mess. And the mess gets worse the bigger the environment is, the older the databases are, the more languages and technologies that get piled up, and the more developers take charge of integrating the environment and writing necessary parts of code to keep it up-and-running, no matter what the caloric intake – I mean no matter how much time and effort it costs the company. And when the need to automate, upgrade, or migrate such an environment arises – well, easy is not a word that comes to mind. Luckily, MANTA is a powerful tool. Stronger than your will to fish more bacon out of the casserole dish; better than your favorite post-Thanksgiving fat-burning exercise. From the beginning, the main advantage of our software has been that it can automatically parse even the most difficult custom programming code. Since we have taken the pleasure of adding more and more supported technologies and programming languages to our technology stack over the last few years, we’ve got you covered. 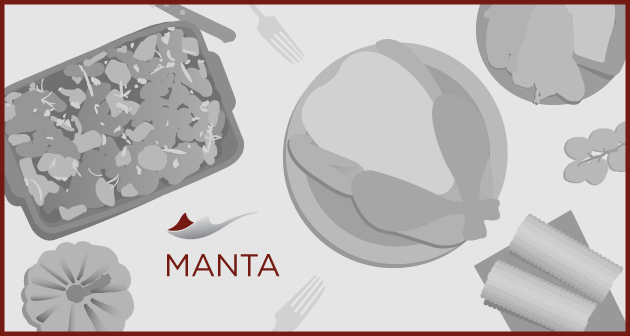 MANTA can deal with the most heterogeneous of environments and automatically map information flows in your data warehouse. We can tell you how exactly your databases are related and what sensitive data they share amongst each other and create an overall map of end-to-end data lineage in our own visualization or push it into your existing metadata management solution. For specific case studies or a full demo, contact us at manta@getmanta.com or talk to Mark in our friendly bot on the right. He is far less annoying than he looks, we promise.